Magazine Launch Party, June 9th, 4 PM at the Southwest Museum of Clocks and Watches! 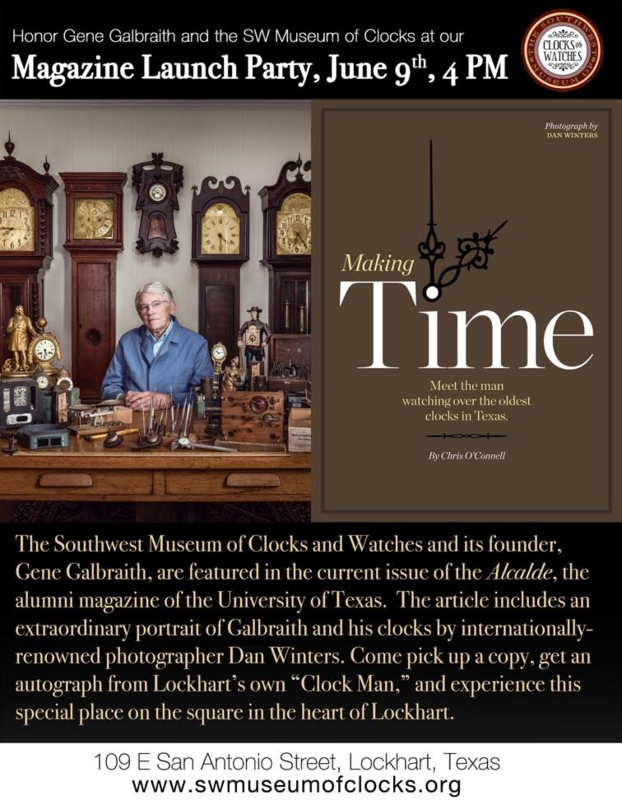 The museum and its founder, Gene Galbraith, are featured in the current issue of the Alcalde, the alumni magazine of the University of Texas. The article includes an extraordinary portrait of Galbraith and his clocks by internationally-renowned photographer Dan Winters. Come pick up a copy, get an autograph from Lockhart’s own “Clock Man,” and experience this special place on the square in the heart of Lockhart, 109 E San Antonio.